During our initial consultation Allison & Colton told me first hand: we are awkward and not photogenic. We also don’t show emotion - so good luck getting our portraits taken on our wedding day. 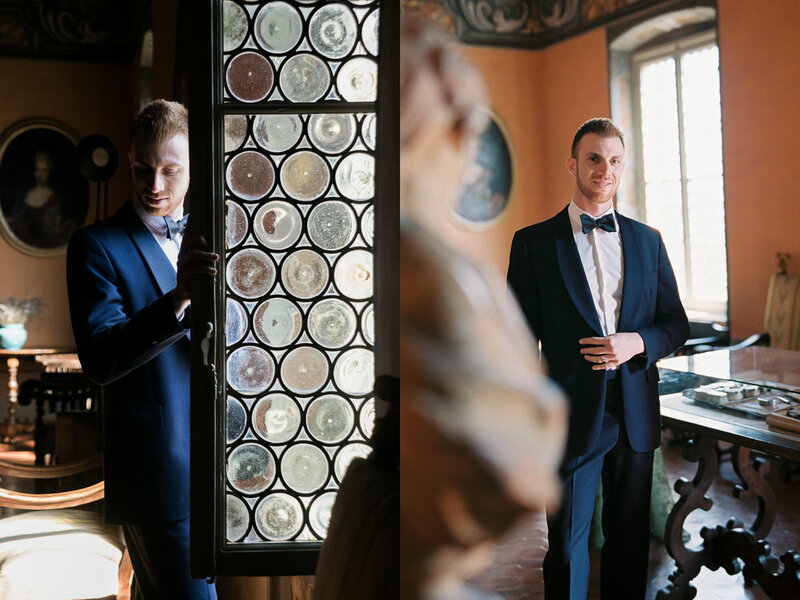 They must have referred to another couple because I couldn’t believe how easy it was to get these beautiful portraits. 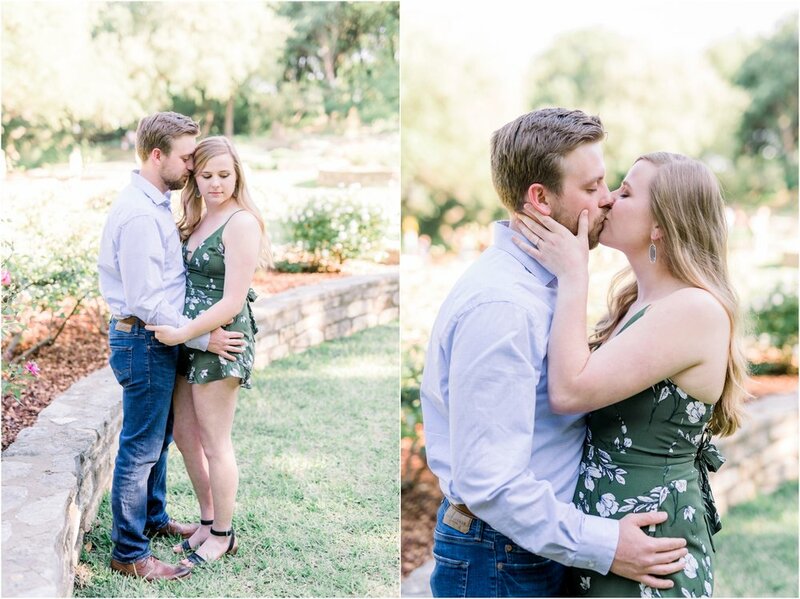 They are also the sweetest couple I know and together we explored the botanical gardens, downtown Austin, shared laughs and captured amazing memories! I truly can’t wait for their wedding day this November! 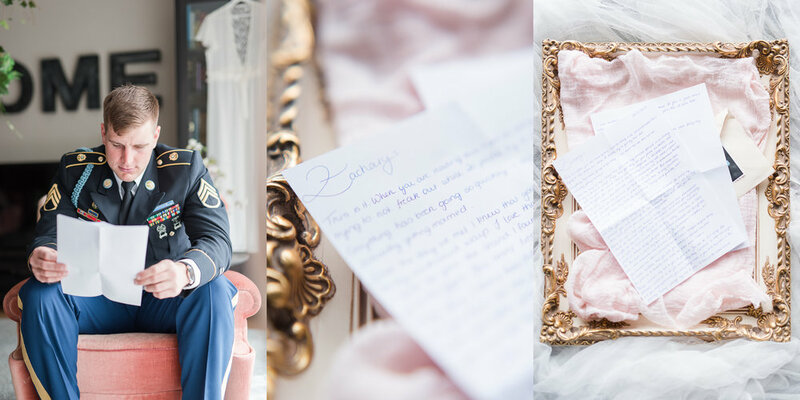 Baby blue and lavender fine art styled shoot in an epic wedding venue at Old Bethany. An intimate portrait shoot with Katie, who inspired me to step out of my comfort zone and shoot more with limited light. 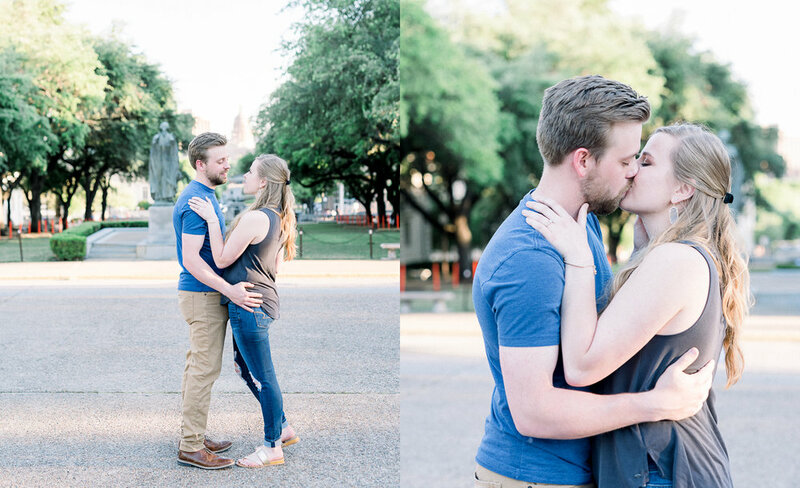 Rachel & Ben had the most beautiful engagement session on top of mount Bonnell, overlooking the city! 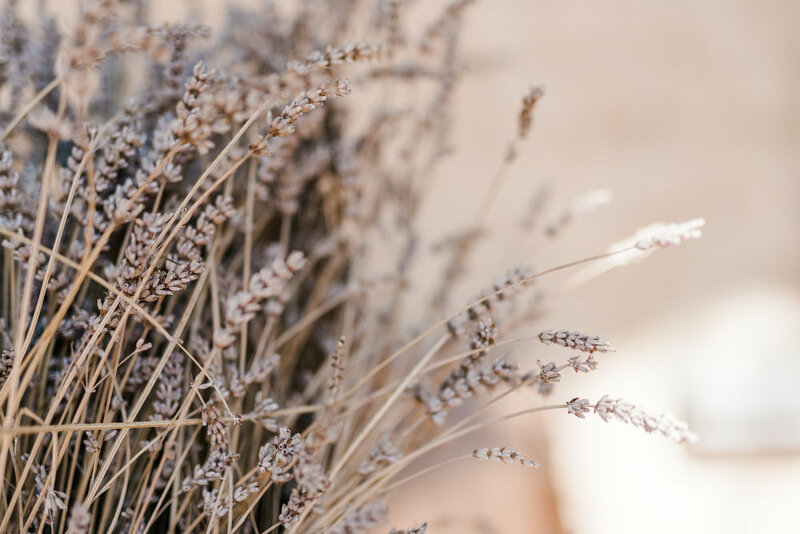 A beautiful and intimate wedding in the Vineyard At Florence, TX. There are times in life when I look back and just go: WHOAH! I am so blessed and lucky! Sandra & Max's wedding (and engagement session and all the times we hung out before) are those moments in life that make me realize how amazing it is to be here, today, and do what I do! I met Sandra & Max through a mutual friend at the beginning of the summer, and I couldn't believe it when they told me they wanted me to shoot their wedding. It was an honor and an amazing opportunity to experience a wedding of this size. With 150 guests and what seemed like multiple villages, the celebration was of significant grandeur. But to me the best part wasn't just the significance of this union: it was what I got from it - a feeling of family and friendship. From the quite bridal morning, to the insanity of the reception, everyone involved in this wedding helped make it even better. It truly was two families uniting, it was the most honest celebration of love with so much laughter and happiness that even I wanted to break into a dance (thankfully I contained myself). 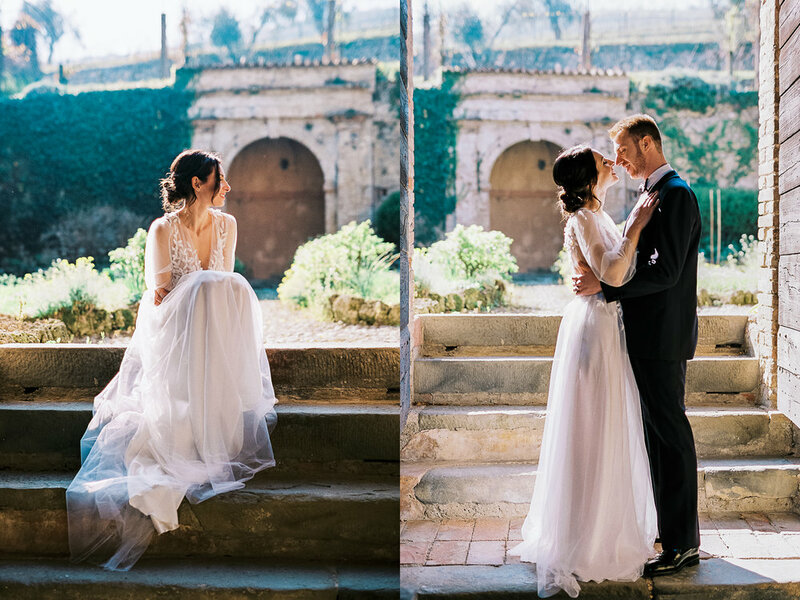 As I go through these photos of the day, I cannot help but smile, and my heart is full, and all I want to do is repeat it over and over again: Congratulations and Thank You Sandra & Max! 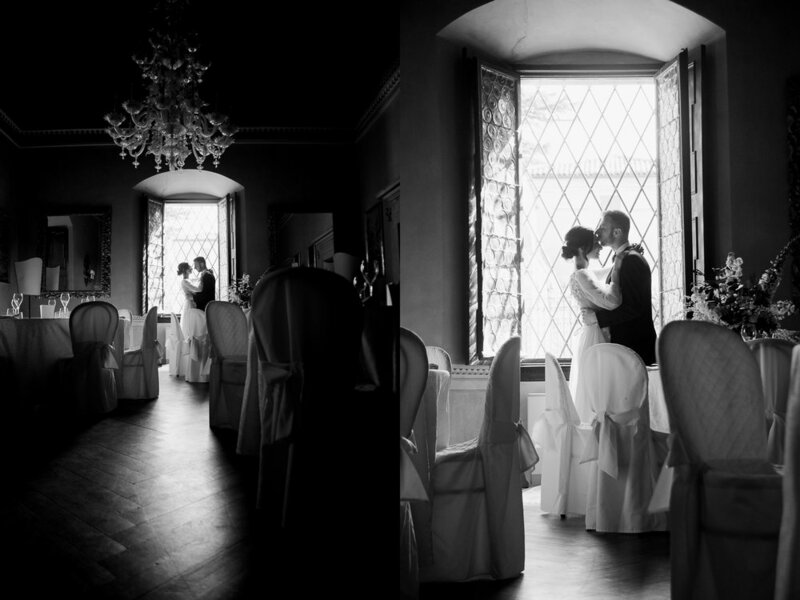 Most every girl dreams of a fairytale wedding. I can say with absolute certainty that I did but unfortunately I never got to have one, and while I wish I had my own, I got something even better! I was a part of another fairytale, and I got to capture its' every moment. 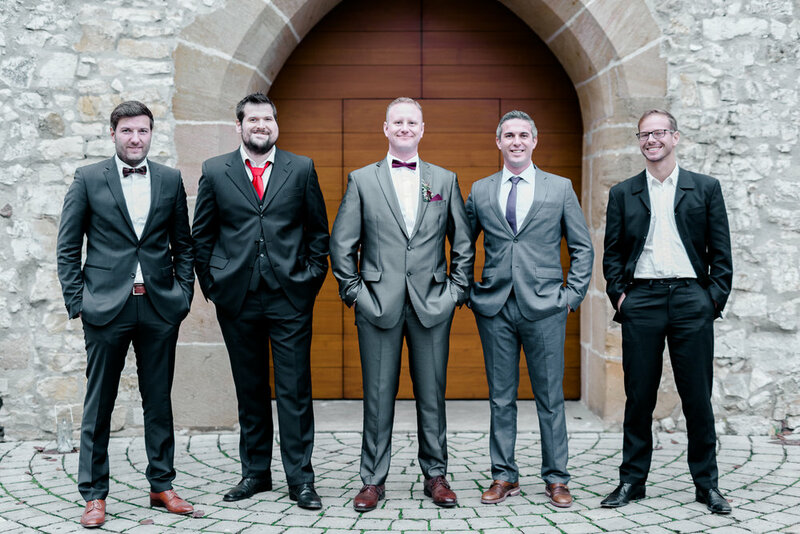 On Friday June 1st Sophia & Daren (who by now have become my friends more than clients) stepped into the Vilseck courthouse to legally become man and wife and on June 2nd their very own fairytale wedding took place not even 5 minutes away from their home in Sorgof. That Saturday morning I could barely sleep. Nervous and excited all I could think about was: it is finally here! Their most important day! Their wedding day is today! 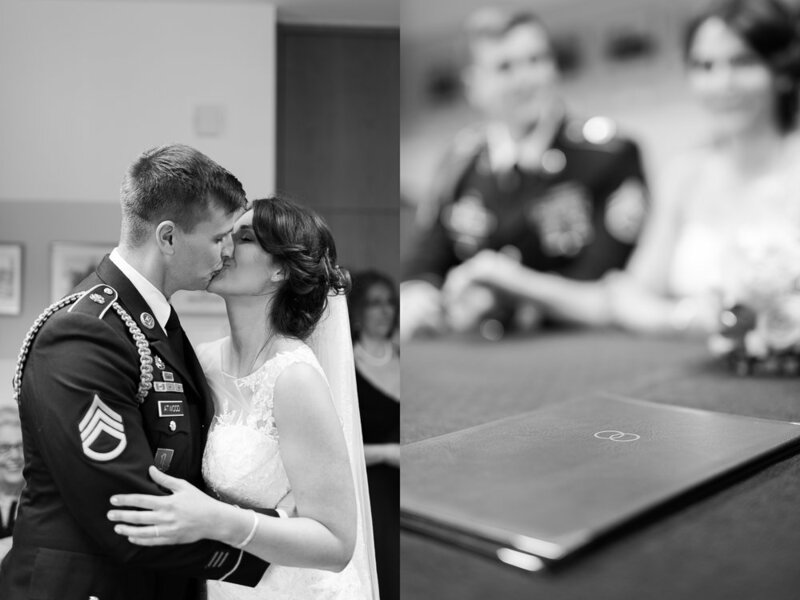 I couldn't wait to pack up all of camera gear and head out to capture the celebration of their true love. And what a celebration it was! Two days of love, laughter, tears, cheers, and of course absolute happiness. Two days of genuine beauty and memories. 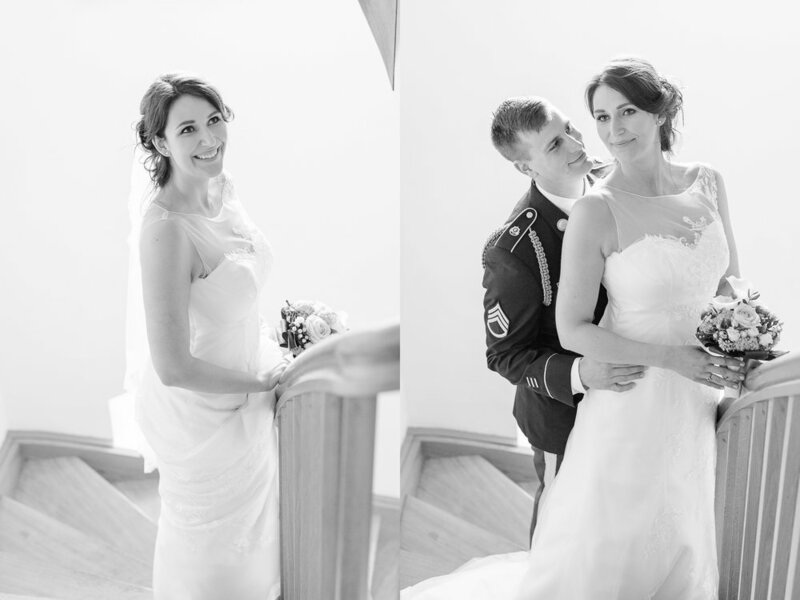 I am still in awe from how amazing Sophia&Daren's wedding turned out. When Sophia walked down the isle, Daren could hardly hold back the tears and I doubt there was anyone in the chapel whose eyes remained dry. She was pure perfection, a true Hollywood beauty with a heart of gold walking towards a man she shares every dream with. With every word of the vows, every prayer, it felt like the room filled with light and unconditional love. As they held each other's hands you could see not a man and a woman but unity, and unconditional love. I couldn't feel more honored to be in their presence, documenting their special day. When I think back on this weekend I realize I must have been blessed somehow! 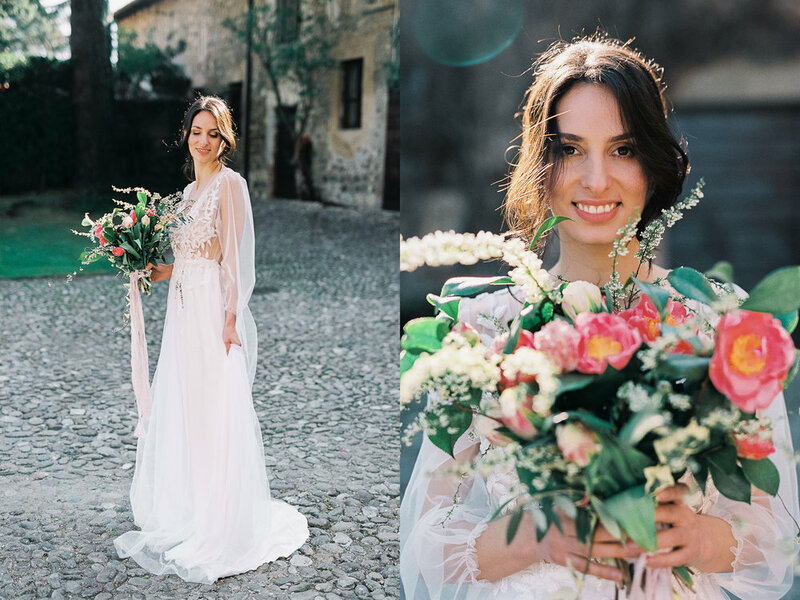 Not only did I get to shoot this beautiful rustic fairytale but I met amazing people through this journey. I can't thank Sophia enough for being some a wonderful mother and friend! 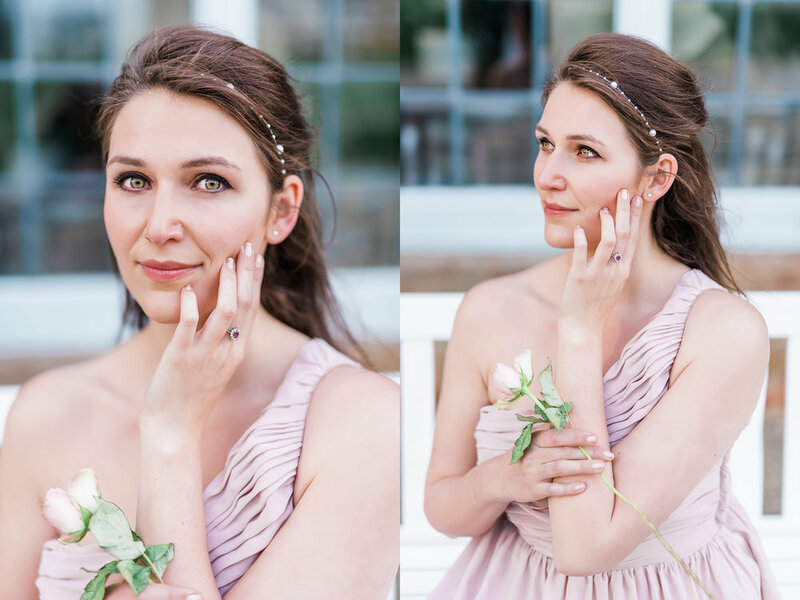 And it was as if a fairy godmother gave me a special gift of my own - the day before the wedding I met another wonderful lady who helped me document the best day of Sophia&Daren's life. Andi O'Neal, my amazing second shooter, was willing and ready to help me shoot magic this weekend and I cannot express the immense gratitude I have for her! I couldn't have done this alone! 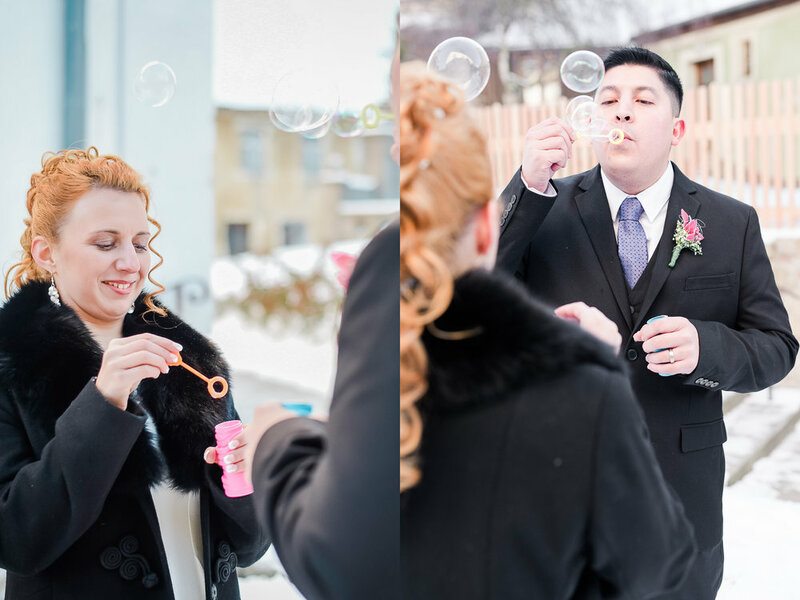 Together we wish Sophia&Daren a long and happy life together as a family, we wish them compassion and understanding and everlasting love, and we are forever grateful for this amazing opportunity to meet you and now call you friends! I started writing this post about a hundred times, in my head, going over and over what I wanted to say, and each time I ended up writing an essay that no one will want to read. I am faced with a problem - how can I keep to a minimum the maximum emotion that fills me when I think of Isi & Zack? No matter what I do, I can't seem to keep it short, so here it goes. I met Isi about a week ago and after just a few hours of shooting her portraits and chatting in the car I couldn't wait to shoot her wedding. She inspired me to do more, to be better, and so I wanted to give back. Pulling everything together that was around the house I came up with a wedding suite for Isi & Zack that included an invite, a reception card, and a translated menu for their dinner, and decorated my whole living room in what I thought fit the wedding scene. I kept wondering how to perfect it so it matches Isabel's personality and also fits with the theme of their wedding. All this even before I met the groom - Zack...Because I only got to meet Zack a day before the wedding. How crazy is that? But just like Isi - Zack left such an amazing impression that I knew I will do everything and anything to make sure their big day is beautiful. And it was! Not even the hail and rain could ruin the day! Isi's laughter and her love for Zack lit up the sky - the cold and grey seemed to subside, and both of them radiated so much serenity and so much love that I couldn't get enough! The way Zack would look at Isabel, the way they joked with each other, the way their hands never let go - all of it was simply perfection. They made me tear up so many times I was embarrassed of my lack of self control. I can honestly admit that this Tuesday I met LOVE all over again - I watched it dance, and kiss, and laugh, and fill the room, intoxicating everyone in her presence - and I was honored to document it! Thank you so much my dear friends for letting me be a part of your day! Congratulations again and I hope you enjoy these few of my favorite images! 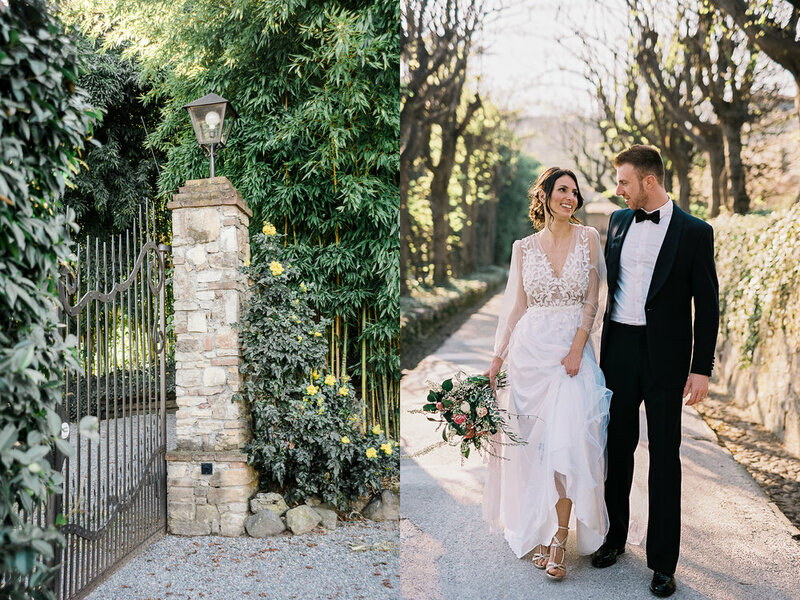 Two weeks or so ago I got to go on my very first wedding workshop in Bergamo, Italy - organized by a very talented couple from KirandIraPhotography. I didn't know how to shoot film, I barely knew the rules. I was definitely way out of my league and had a lot of catching up to do. Mostly everyone around was a seasoned wedding photographer, and already shot on film before. And there I was - with darker film than was needed, no light meter, and a camera I have purchased JUST for the workshop. But what I did have with me was tons of inspiration images from American photographers and a desire to become more than I am. To say that I hated most of my digital images is not to say much. I was very very hopeful for film to have worked out - only to realize that half the time i kept forgetting WHICH film roll i was shooting and what I was getting in the light meter. Hence, I was frantically checking my email waiting for the scans to arrive. Coming home from weeks of being away I was equally excited and scared. Full of new experiences, friends, and of course inspiration I was worried I wouldn't have a creative outlet. But then I had to just take a deep breath and remember that all I need to do is keep working, keep getting better and all will fall into place. She came to me on a recommendation from social media and mutual friends and asked me if I could shoot her wedding - one she is putting together in two weeks time. I of course agreed and wanted nothing more but to help her as much as I possible could. I showed her my vision as a photographer and she showed me hers and it was like magic! I KNEW we were going to have an amazing time and I felt a sense of familiarity right of the bet - as if she was an old friend, and I was ready to do all in my power to make this wedding special for her. 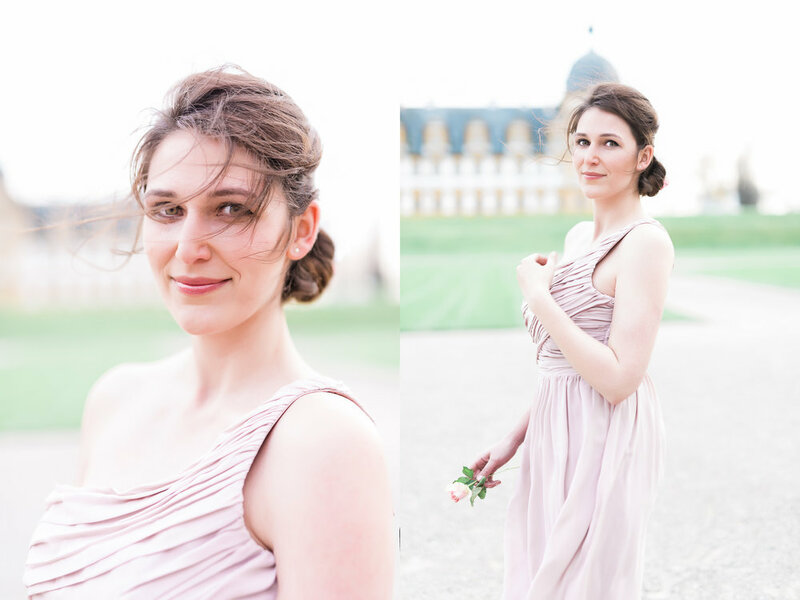 And now looking back at these photos I am barely able to contain my excitement about her wedding coming up! Thank you for dancing in the wind with me! I feel like I knew Franziska long before I actually met her, because she is the best friend of Stefanie owner of Stefanie Coronas - Beauty & Cosmetic Artistry so when we actually met to do her pre wedding consult I felt like we already knew exactly what we wanted. 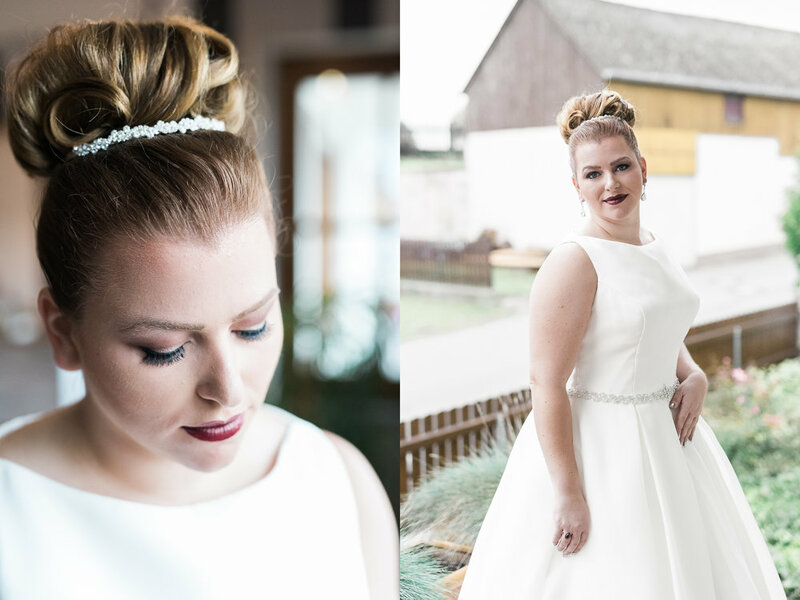 Her courthouse wedding was to be held in Weiden at the old Rathaus and I was so excited to shoot in a new location. It is such a perfect place, no matter what month of the year it is - the German architecture, vines on the walls, arches of the passages - all of it was perfect and full of inspiration. 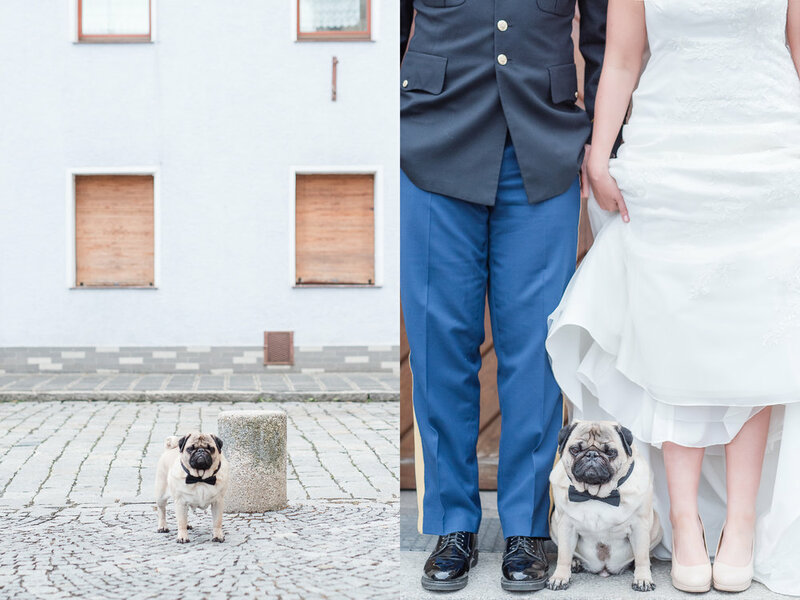 Even though Franziska and &Jey have a beautiful big ceremony planned for August, we decided to make this day just as big of an occasion and I think it turned out just perfect! Even the rain that caught us during the portrait session couldn't ruin it! These two are so in love and so happy they stopped people dead in their steps as we photographed in the market square (with rain pouring down and all). I am so honored to have been a part of their big day! Thank you! Here are my favorites from their day. 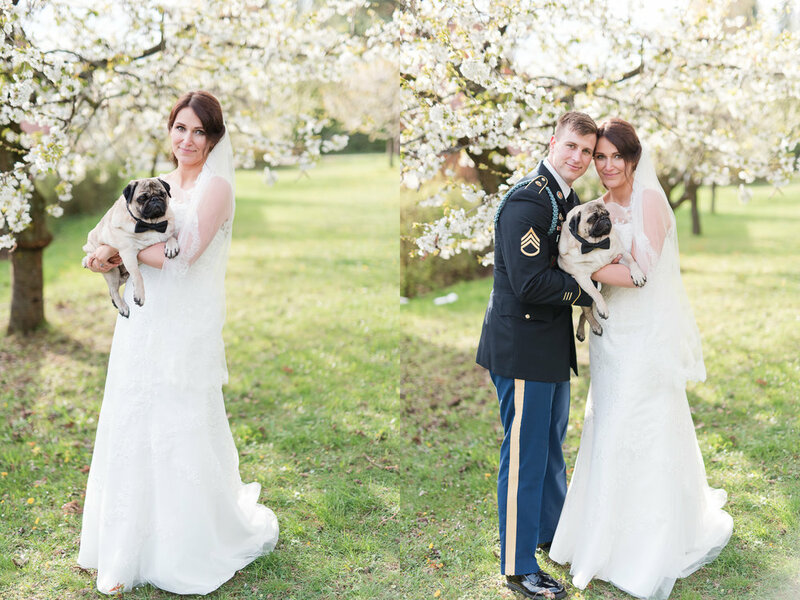 With just a few days to go before Tim leaves the Army and goes back to the United States, he and his German fiancée Isabella didn't have a choice but to expedite their June planned wedding and trade in the lush summer greens for the ice beauty of snow. 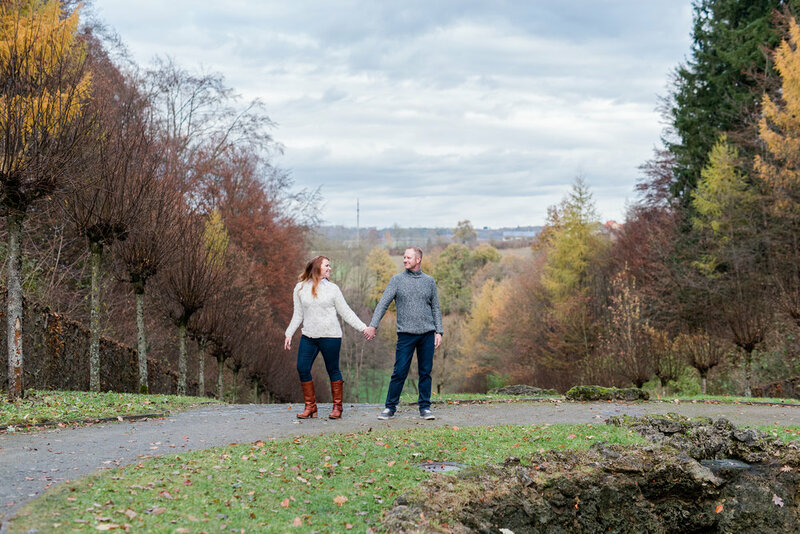 I got to meet both Tim and Isabella only a day and a half before their courthouse wedding in Vilseck, Germany simply because with so little time to plan a wedding, they did not have anyone to photograph it. 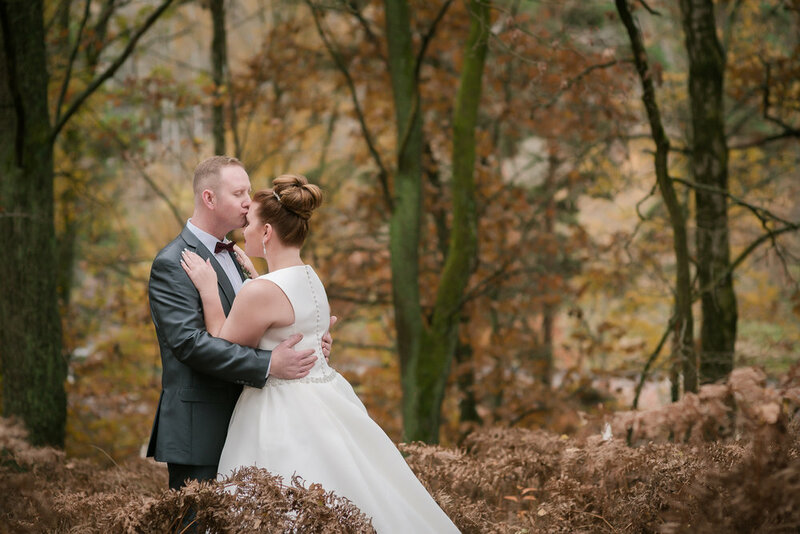 Their family friends (and my amazing clients Roxy & Oscar) couldn't let that happen so they decided to give them a chance and asked me to record their special day. 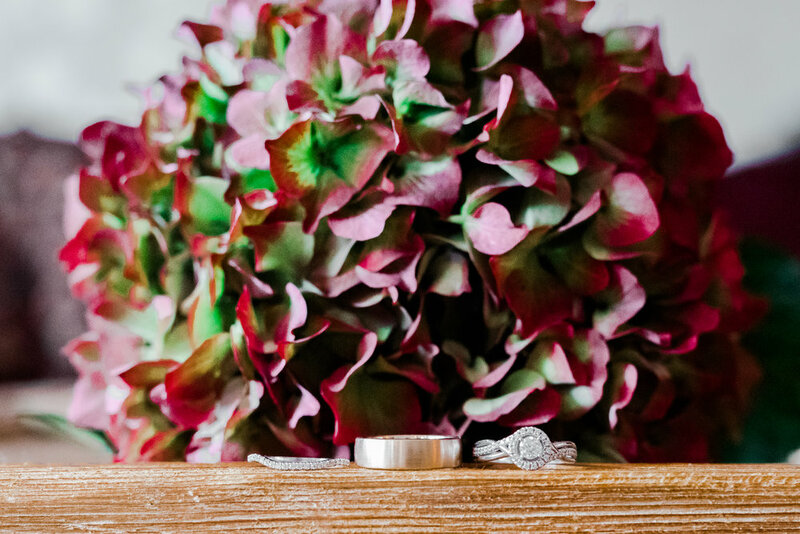 I was honored to do this for them and decide to go an extra mile and record more than just an elopement at the courthouse and I asked Richelle of Richelle Costa Photography to join me in this adventure. 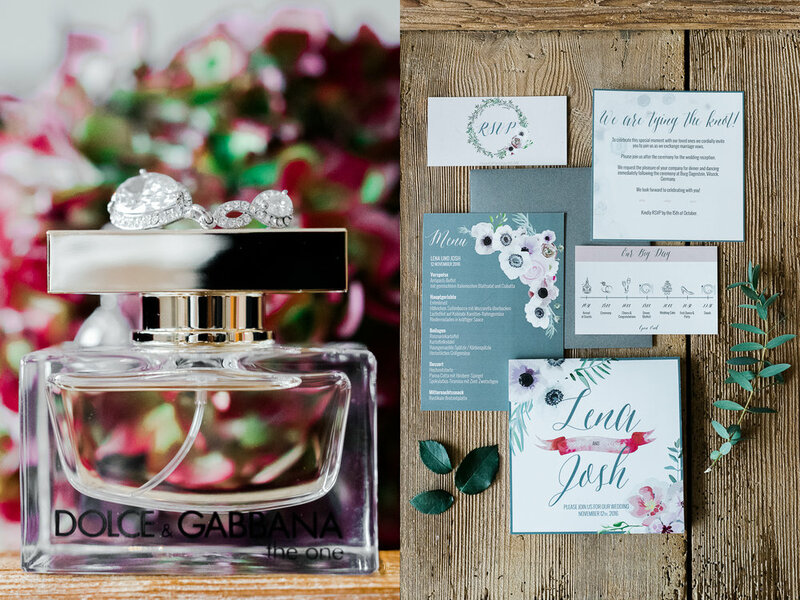 Congratulations to the happy newlyweds and here are our favorites from their BIG day. I think nature and weather smile on Lena & Josh or they posses some crazy magical weather controlling powers. Remember their wedding a week ago? Well, the week leading up to their wedding was nothing but cooler temperatures, wind, and rain. I think it wasn't just myself and Richelle who were literary praying for the weather to change to at least no rain for the day of the wedding. We definitely must have not been the only ones praying because miraculously the BIG day was clear: no rain or crazy wind and we got through our outdoor portrait session with no issues (except getting cold and Richelle getting sick). The day after the wedding turned out to be chilly but sunny and oh so beautiful, I just couldn't stop smiling and thinking that it is all because Lena & Josh got married. But back when Lena and I were still in the planning mode we knew we have to re-mix their engagement session or do something entirely different because Josh wasn't flying in early enough from California before the wedding. I also did not want to bother them during their one week together after the Big Day. But who was I kidding - Lena &Josh offered to do either session that same week, right after the wedding. I was more than excited until the rain came and didn't stop. We scheduled our session for Friday and I sat by my phone checking the weather all through thursday evening only to see quite a sad forecast. 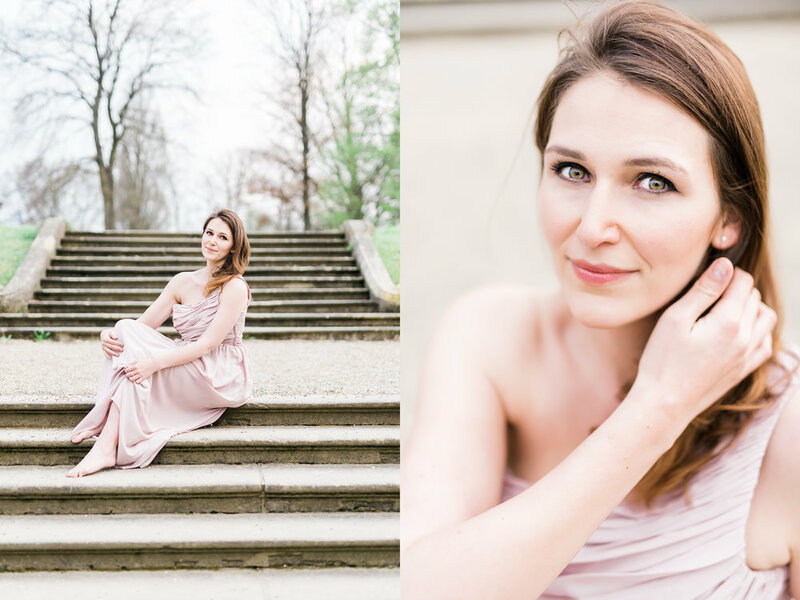 I decided to message Lena in the morning, still hoping for a chance to be able to shoot and as I opened my eyes on Friday I almost screamed from excitement - Bayreuth had no rain until 1pm so we had a chance. 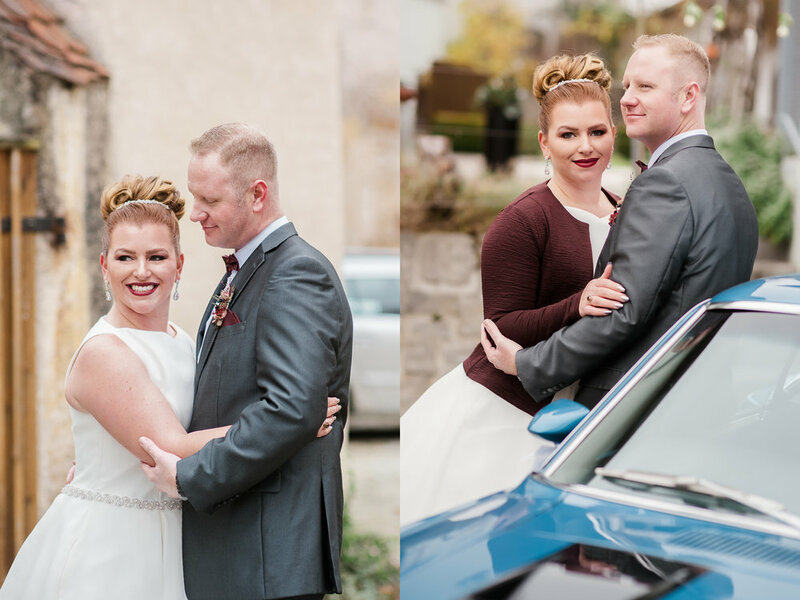 I don't remember getting dressed and ready to go as fast as I did on Friday morning and when my beautiful couple showed up at my house we headed out ready to make some magic. As we got to Bayreuth, Josh told me something that he just realized - Eremitage was where they had their first date five years ago! That almost made me tear up! How perfect was that! And guess what else was perfect?! The weather! 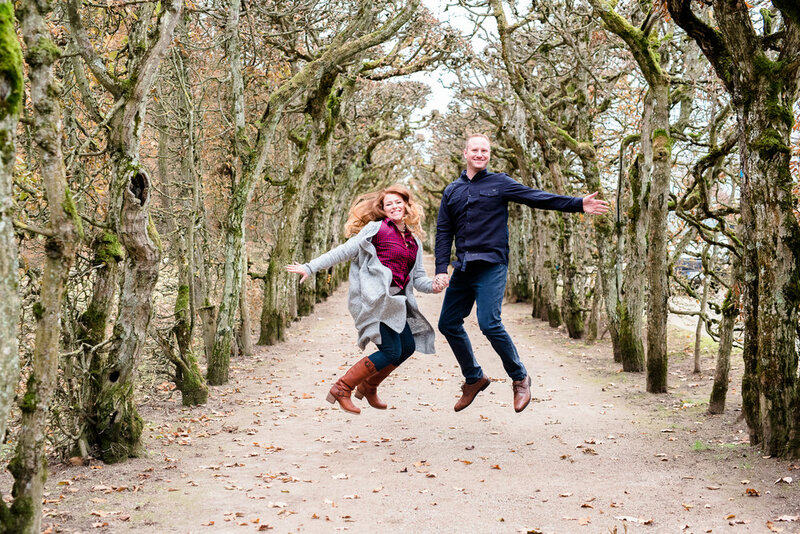 We got blue skies and sun - in the middle of a rainy forecast, the weather gods have given us a chance to have fun documenting an epic engagement/newlywed session. I think I can take pictures of these two for the rest of my life! 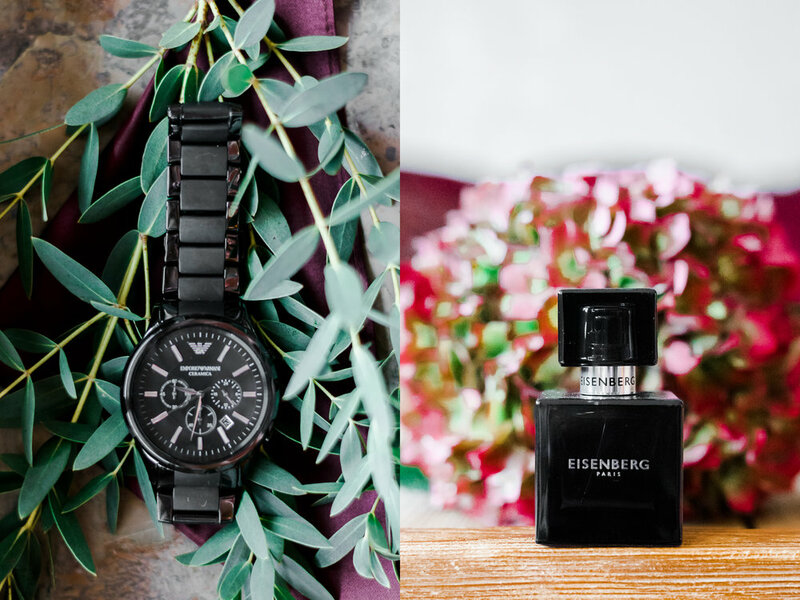 Here are just a few of my favorites from our day. 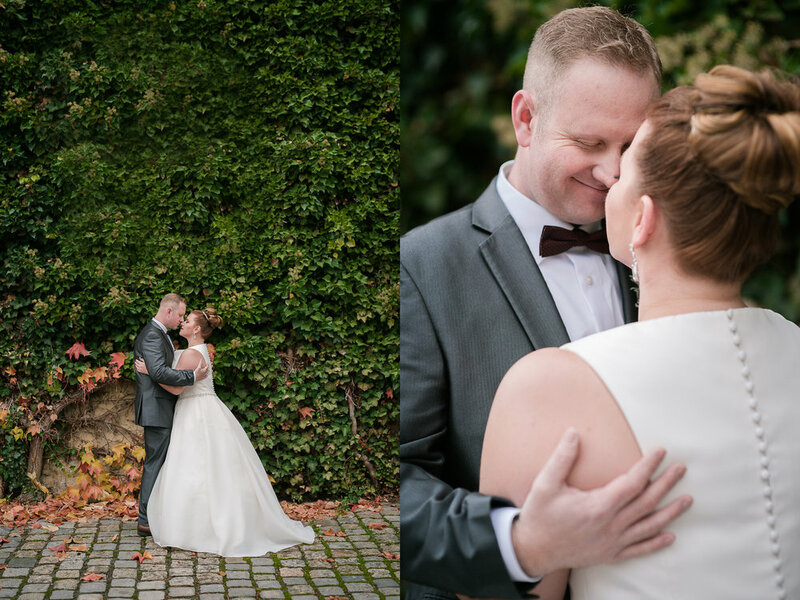 Back in July, when Lena first came to me looking for a prospective photographer and designer for her November wedding, I was thrilled and anxious at the same time - November is a colder unpredictable month with not much foliage or day light and with crazy weather. My anxiety however went away a lot faster than I thought, as we started to plan out Lena and Josh's invitations and soon after I forgot entirely that time was flying and November was right around the corner. This was the first time I was going to shoot with a second shooter and choosing the right person was no laughing matter. I never realized how hard it is to find someone who matches your style of photography, your philosophy, and your work ethic. So when I found Richelle, I knew we were going to create magic. 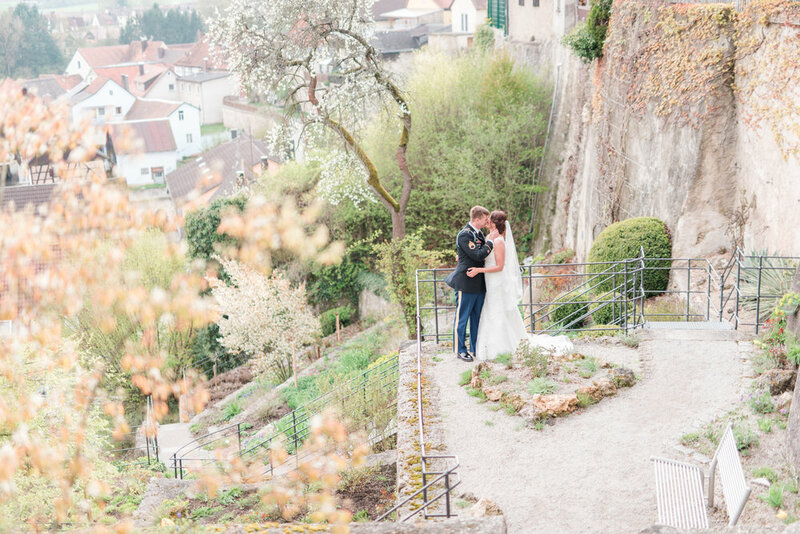 Lena and Josh held their wedding in the 13th-century-built castle of Dagestein in Vilseck, Germany. When you talk about a legendary wedding, nothing could've beaten this location. Wood and stone of the castle are such a great combination with the lightness and happiness of the event. 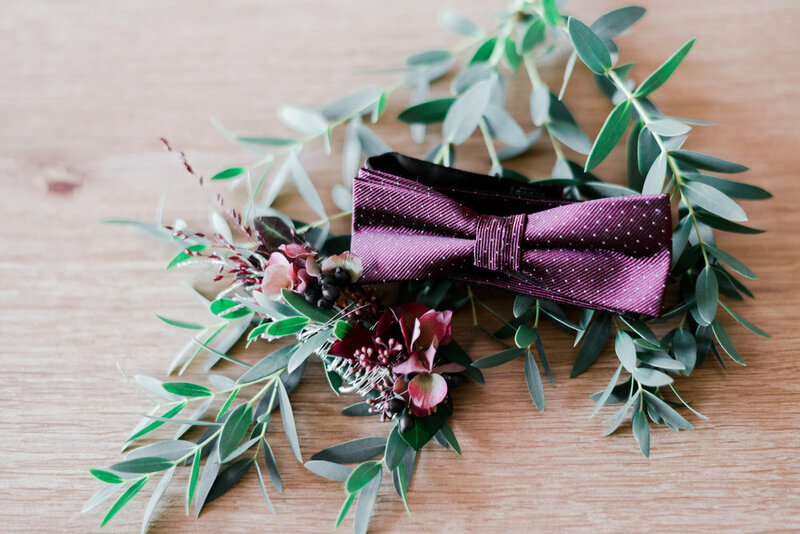 Lena chose her wedding to be in beautiful fall colors of marsala and sharkskin mixed in with some blush and eucalyptus green. Richelle and I were so excited to be a part of this wedding and through the process of planning we realized we couldn't have asked for a better bride and now a friend. 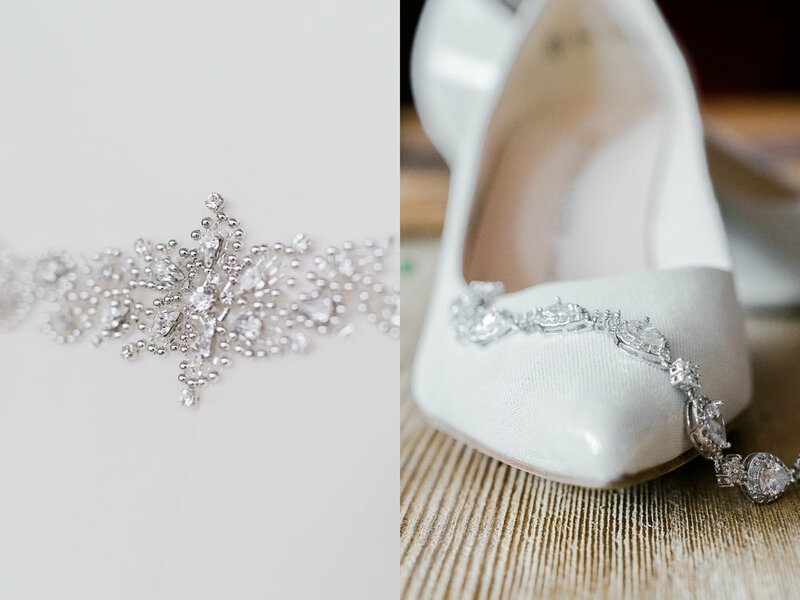 Here are some of our favorites from the big day!